Introduction: While creating user input form e.g. registration form where user enters the details like Name, email address, password and confirm password ,Website URL etc. 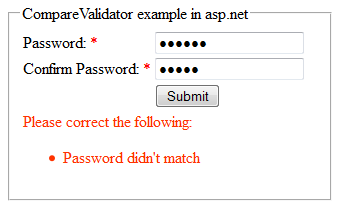 we have to implement validations on the form so that incorrect data could not be submitted to server. Asp.net provides Validation controls like CompareValidator, CustomValidator, RangeValidator, RegularExpressionValidator, RequiredFieldValidator etc to apply validations on asp.net web page. 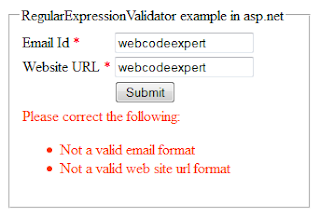 Now in this article I will explain how to use RegularExpressionValidator control with example to check the validity of the email address and website URL before submitting to server for processing otherwise error message will be displayed to the user. Note: Email Id should be in email format e.g. me@mydomein.com and Website URL should be like http://www.webcodeexpert.com/. 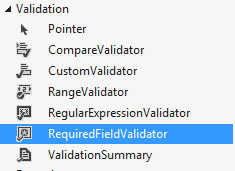 In this example I have demonstrated 3 ways to use RegularExpressionValidator control.